Welcome to HSMAI South Florida, whose mission is to grow business at hotels and their partners through fueling sales, inspiring marketing and optimizing revenue. Please fill out the form HERE to let us know which new members you referred. 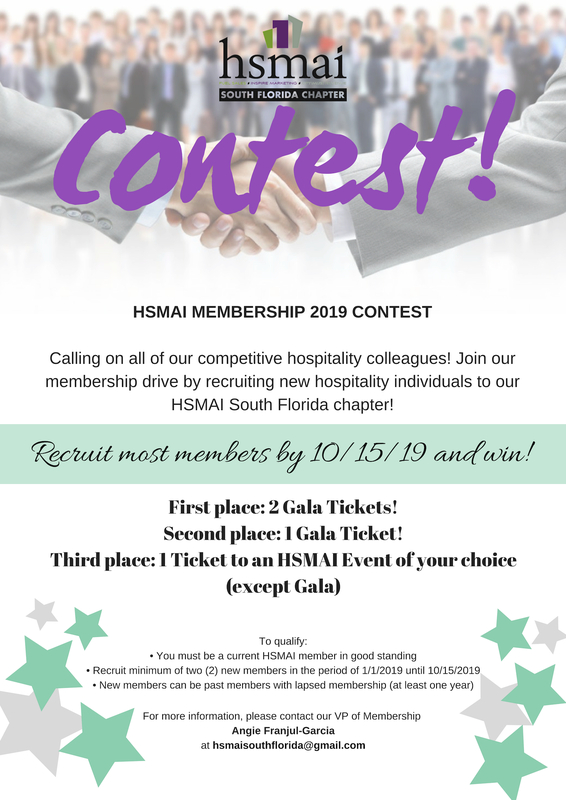 interested in hosting the next HSMAI event? We are always looking for great places to host our events! Interested in hosting an HSMAI event at your property? Please let us know! We are always on the lookout for fun places to go! Breakfast, lunch, dinner, or happy hour! Please feel free to contact us and we can schedule an upcoming event at your place!